Ted Riddle and I were working for an “Acting” foreman named Willard Stark during an overhaul at the plant outside Mustang, Oklahoma the spring of ’86. Willard seemed much older than he was. I would have guessed he was in his late 60’s or early 70’s, but it turned out he was only in his mid to lower 50’s. I found out why he had aged as the overhaul unfolded. I heard some slight grumblings from a few in the shop when Bill Bennett told me that I was going to the plant near Mustang, Oklahoma that spring. I suppose it was because since I had become an electrician in the Fall of 1983, this was already going to be my third overhaul away from our plant, and all of them ended up being major overhauls. The reason others were grumbling about this was because when you were able to go on an extended overhaul at another plant, it meant that you were going to earn not only a lot of extra overtime, but you also received travel time, mileage and a per diem (a daily amount of money for expenses). I believe at the time the Per Diem rate was $32.00 each day. This was supposed to pay for your hotel room and your meals while you were away from your family. 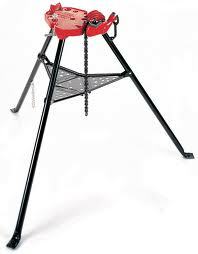 We lived in trailers to cut down on costs. Others believed that I had received more than my share of the piece of this pie. I had been sent on every available overhaul since just before I had reached my first year as an electrician. So, by this time, most people would have saved up quite a sum of money. I, however, was making around $7.50 my first year, and by the time 1986 had rolled around, I was still making just under $10.00 an hour. So, overtime amounted to $14.50 an hour. When you compared this to the first class electricians that were making around $19.00 an hour at the time, they would have been making $28.50 an hour overtime. This was about twice what I was making. So, I was a cheap date. On December 21, 1985 I had been married (the day following my last day at Horseshoe Lake overhaul — see the post: A Slap in the Face at a Gas-Fired Power Plant), and I had used every cent I had in the world to pay for our honeymoon. I was even relying on paychecks I was receiving while I was away to finish paying for it. So, it helped to come back and find that we were on a major overhaul at our plant on Unit 1 doing the 5 year checkout. Then finding that I was going to a major overhaul at the plant in Mustang, Oklahoma where I could live with my wife in her apartment in Oklahoma City while she finished her last semester to obtain her nursing degree from Oklahoma University. I went on the overhaul with Ted Riddle. Ted was hired into the electric shop the previous summer. He wasn’t on my crew so I hadn’t worked much with him. He was a farmer that had an electric background. He was a bigger man than I was and had a good sense of humor. He had a steady temper and didn’t let much bother him. He would laugh at things that might bother others. I appreciated working with Ted, because his steady mood helped to teach me that blowing my top about little things did little to help the situation. 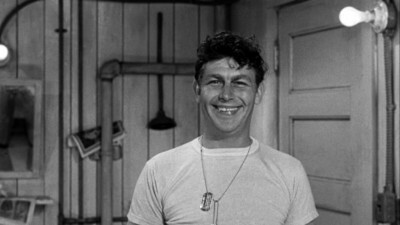 So, for this overhaul, I decided that I would try to emulate Ted Riddle by keeping up with his easy-going-ness (I know…. the dictionary couldn’t find that one). Bob Kennedy was on this overhaul as well. He had been my acting foreman during the overhaul at Horseshoe Lake. I had described our relationship in the post: “Bobbin’ Along with Bob Kennedy“. I was glad to be working with Bob again. As I mentioned, Willard Stark was our acting foreman. For those that don’t know…. an acting foreman is someone that normally isn’t a foreman, but is appointed to lead a crew for a particular job. These men usually are the best foremen to work for, because they haven’t attended any official “manager training”. This usually made them better foremen, as the manager training had a tendency to destroy one’s character and moral integrity. — I never could figure that one out. Some people came back unscathed, but others came back with PTMD (Post-Traumatic Manager Disorder). The plant at Mustang was the smallest gas-fired power plant that had people permanently working there. It had some smaller units that they wouldn’t run when the newer larger units weren’t running because the water treatment plant (that creates the boiler water) used more power than the small units could generate. — That amazed me. So, while we were there, I don’t think any of the units were running so they didn’t have to run the water treatment plant. Willard Stark had spent a good portion of his life working at the plant and had a lot of stories about the plant manager and assistant manager at our plant. He had been an electrician when Bill Moler had first come to the plant as a new green electrician like me. I enjoyed sitting during lunch in Mark Thomas’s electric lab as Willard told us stories. Willard had an incredible memory. He could remember what he was doing on any specific day decades before. We would listen to Paul Harvey on the radio during lunch, and whenever Paul would say, “….noon news and comment.” Willard would always finish the sentence by saying “…mostly comment.” I had spent a good part of my childhood listening to Paul Harvey on the radio because when I was young, we always had a radio playing in the house and the car. So, Paul Harvey’s voice was always a comfort to me. I was saddened a few years ago when he passed away. 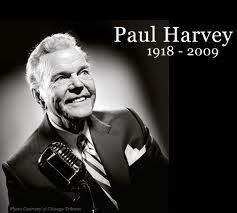 Paul Harvey was one of a kind radio personality. No one will ever fill his shoes. Working with Ted Riddle cracked me up. He would notice things that I was totally oblivious to (yeah. I see it. A preposition at the end of a sentence). For instance, one day while we were working, Ted asked me if I ever noticed how Bob Kennedy drinks water out of his jar. I told him I hadn’t noticed. You see, Bob had this jar that looked like a pickle jar that he brought to work each day filled with water. During lunch, he would drink out of this jar. Ted said, “Watch Bob during lunch today. Tell me what you think.” So as I was sitting next to Bob during lunch listening to Paul Harvey, and Willard Stark telling us what he did on any particular date in the past that Paul Harvey might mention, I kept one eye on Bob. As Bob lifted his jar to his mouth I watched as he began to drink. I immediately knew what Ted had wanted me to see. As Bob took a drink, he slowly tilted the jar up until the water reached his mouth. As the jar was being tilted, Bob’s upper lip would reach way into the jar as far as it could, quivering in anticipation of a cool drink of fresh water. 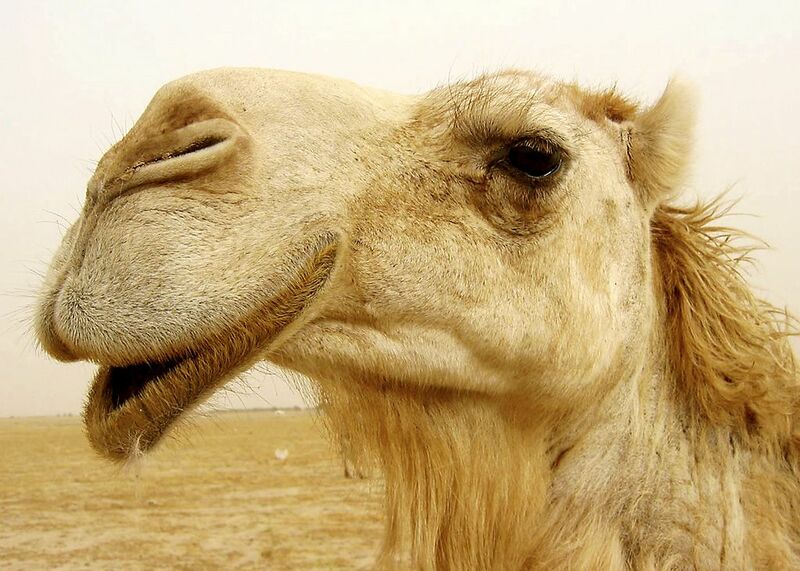 The upper lip of a camel came to my mind. I think I almost choked on my ham sandwich as I swallowed while trying to keep my composure. Another day while Ted and I were cleaning ignitors on the shop work bench Ted asked me if I had noticed what Randy Oxley and Jimmy Armafio were working on. I told him I hadn’t noticed. Ted said that if he’s not mistaken Randy Oxley has been coming into the shop all morning with the same piece of conduit. He bends it, then cuts a little off the end and re-threads it. So, the next time Randy came into the shop I noticed he had a piece of one and a half inch conduit in his hand. It was about 3 1/2 feet long and had a couple of bends in it. Randy hooked the conduit up in the large conduit bender and using his measuring tape carefully lined it up as Armafio stood back and watched. He bent the conduit a little, then put it in the bandsaw and cut off a few inches. Then he put it in the vice on the work bench and proceeded to thread the end of the conduit. Then Jimmy and Randy left. Ted said that if he wasn’t mistaken, that’s the same piece of conduit Randy has been working on all morning. So, as we continued the boring job of cleaning the 30 or so ignitors piled on our workbench, I told Ted about the time I was at the plant at Horseshoe Lake and Randy had told a Mechanical A foreman Joe Balkenbush (I think his first name was Joe), who was Randy’s uncle on his mom’s side, that Randy was the best electrician at the plant at Mustang, only he was the only one that knew it. I mentioned this meeting and the reason for it in the post: “Bobbin Along with Bob Kennedy” (See the link above). Sure enough, a little while later, Randy came back to the shop with the same piece of conduit and performed the same procedure of bending, cutting and threading and scadoodling. A little while later the electrical B foremen came out into the shop (I can’t remember his name for the life of me… I can see his face), and asked us if we knew how to run conduit. We assured him that we did. I had been thoroughly trained by Gene Roget and Ted, well, as it turned out, Ted was a crackerjack conduit hand. The foremen took us up onto the boiler and asked us if we could run some conduit from one place to another. He sounded apologetic when he asked if that would be all right. We assured him it was no problem. We would get right on it. On the way back to the shop, as we were coming down from the boiler, Ted tapped my shoulder and pointed down to the bottom of a light fixture. He said, “Hey! Isn’t that the piece of conduit that Randy has been working on all morning?” Sure enough. There is was. He finally bent it and cut it to fit! Well… The rest of this part of the story is that instead of running back and forth to the shop to bend and cut and thread conduit, Ted and I grabbed a conduit stand, and the appropriate tools and hauled them up on the boiler. We carried about 40 foot of conduit up there and began bending, cutting and threading and mounting the conduit. We finished just before lunch. As I mentioned above, Ted was a heck of a conduit person. He knew exactly what he was doing. We carried all the equipment back to the shop. After lunch Ted and I went back to cleaning ignitors. The foreman saw us out of the window of the office and came out and asked us why we weren’t working on the conduit. When we told him we were done, he had a look of disbelief. He left the shop (to go check out our work). Ted and I smiled at each other. A little while later the foreman returned with the electric supervisor. The electric supervisor asked us if we wouldn’t mind working on some more jobs to run conduit. Ted told him that we were there to do whatever they needed. I nodded in agreement. During the rest of the overhaul we worked to repair broken conduit, pull wire and install new conduit where needed. Mark Thomas, the electric specialist, that was about my age, asked if he could use us to pull and mount some new controls. He said he wouldn’t let the others in the shop touch it because he would just have to follow through and redo it when they were done. So, we did that also. With looks on our faces that conveyed that we didn’t understand what he meant, he explained that in small plants like this one, they don’t have a budget like the bigger plants. They can’t afford to keep the lights burning all over the plant all the time. So, we were only supposed to replace lights in the immediate area where we had to work. Now the foreman had to figure out where he was going to find the money to buy another box of light bulbs. — These were incandescent bulbs that don’t have a long life span. I had mentioned in an earlier post called Resistance in a Coal-fire Power Plant that Bill Rivers had been given a bum deal when another person had accused him of cutting off the leads of electronic components so that no one could check them to see if they were really bad (which doesn’t make any sense given that you could still check them no matter how short the leads are). Well, I found that the same situation had existed in this plant. There was this one guy that sat in the electric shop Lab (not the same electric shop lab where Willard and Mark Thomas hung out), working on Gray Phones all day. Ted had asked me if I had noticed how many gray phone boxes were missing gray phones (gray phones are the PA system in a plant. You could go to any one of them and page someone). Ted would point to empty gray phone boxes as we walked through the plant. He told me that they have one electrician that doesn’t do anything else but sit in the electric lab working on gray phones. That is all he does. When we asked Willard about it, he told us this story. Mark Thomas used to work on all the gray phones, and kept them all running in good order. When Mark worked on a gray phone, sometimes to make sure it is working, he would page himself. Just to make sure that part worked. I understood this. When I was working on gray phones with Bill Rivers, he would page me, or I would page him, just to test it. If you were working by yourself, it would make sense that you would page yourself instead of bugging someone else several times a day while you went from one gray phone to the next. Anyway, people accused Mark Thomas of trying to make himself more important by making others think that he was being paged all the time by paging himself. Now, anyone with any sense would know how lame of an idea that is. I mean, anyone would recognize Mark Thomas’s voice. The plant wasn’t that big. There weren’t that many people working there. Everyone knew everyone else. Mark was obviously just working on gray phones. So, after the foreman accused him of trying to promote his self importance by paging himself several times a day, Mark said, “Fine! Let someone else work on the gray phones!” Mark was by far the most intelligent person at the plant. He obviously didn’t need to artificially promote his reputation by making a fool of himself. So, they gave the job of gray phone maintenance to someone that didn’t understand electronics. They even bought an expensive gray phone test set to help him out. So each day he would sit in the lab smoking his pipe staring at an ever-growing pile of gray phones. At one point, Ted and I offered to fix them all for him. He said, “That’s ok. It keeps me in the air conditioning. I know in later times, Mark Thomas went on to greater successes within the company. I believe that Willard stayed around until there was a downsizing and he was able to early retire. I mentioned at the beginning that Willard looked a lot older than he really was. Willard brought this to my attention. He showed me a picture of himself a few years earlier. It was of him standing by a car wearing a suit. He reminded me of an actor from an old movie, though, I can’t remember the actor’s name at the moment. Willard said that in the past few years he aged rapidly. It happened when the previous foreman had retired. Willard had seniority in the shop and had been at the plant most of his life. He knew what he was doing, and had filled in as foreman many times. He really expected to become the foreman. Nevertheless, they gave the job to someone from somewhere else who didn’t know the plant, or even much about being a foreman. This upset Willard so much that he said he just gave up. He said the stress from that experience aged him. Mark Thomas agreed. Mark had his own encounter with this attitude when he decided to retreat to his lab off and away from the electric shop. Willard and Mark, the two electricians that really knew what they were doing at the plant had sequestered themselves in their own hideaway where they would sit each day listening to Paul Harvey at lunch and biding their time until the next phase of their life came around. IT’S ALWAYS AN EDUCATION AND ALWAYS A PLEASURE READING THESE STORIES—FROM REAL LIFE!